Home » COLUMN — #TheRealHUDebate: Is it Up for Debate? 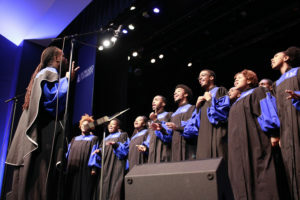 Howard University and Hampton University kicked off Nation’s Classic festivities in Cramton Auditorium with an event that has brought pride to historically black colleges and universities for nearly a century: Debate. 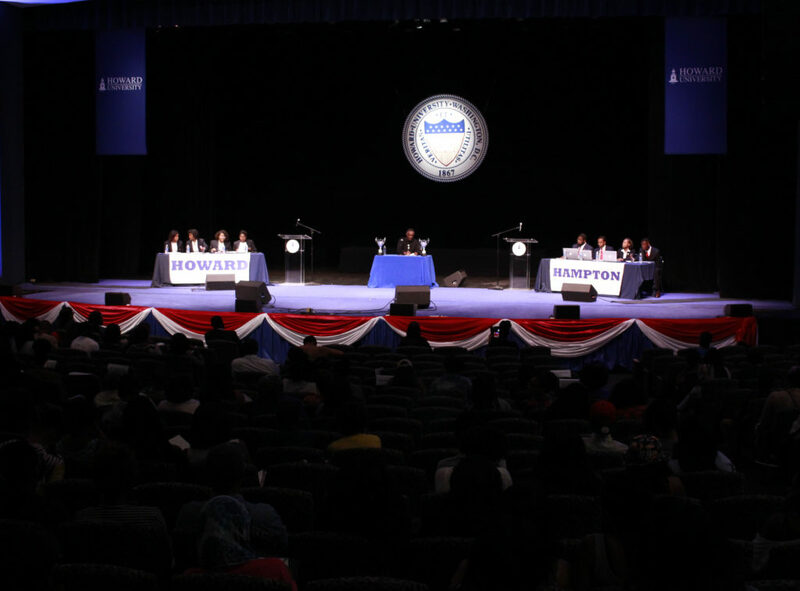 The debate was held on Friday, September 16, at Howard’s Cramton Auditorium. 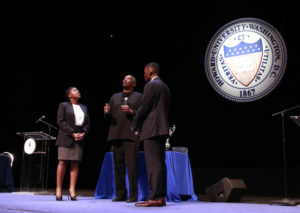 With an exhilarating debate in this contest of intellectual prowess on both social and legal matters, the viewers are forced to ask themselves, who is “The Real HU?” An archaic question that has fueled this ferocious rivalry between Howard University and Hampton Institution for more than a century. With anticipation at its peak, the HU-HU debate commenced with the first topic of resolution: should students be allowed to carry concealed weapons on campus, with Hampton taking the affirmative. Junior Quinten Barnett started Hampton’s debate team off with a solid foundation stating, “guns and alcohol are a dangerous mixture,” noting how alcohol abuse and reckless college behavior are a reason not to have guns on campus. With his argument given extra-padding from junior Bradley Vye using the example of the Virginia Tech shooting adding on “more arms to the people would actually do more to us.” Hampton’s argument was incredibly sound, but a shift in the energy occurred the second Howard University senior Carolyn Williams strutted to the podium. 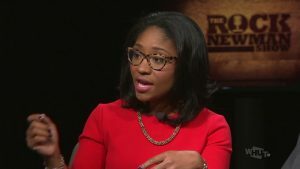 Williams had justifiable points in her rebuttal and showed why some called her “Williams The Relentless” by giving a slightly a crowd pleasing zinger: “Is it possible for us to have an actual debate with the computers?” This was in regards to Hampton having their laptops out in comparison to Howard who only used notepads during the debate. She was followed by her teammate, Krysten Love, who silenced Hampton with three denials on points of opposition and then going on an absolute tear by citing regulations from all 50 states. Howard excited the environment with their direct boisterous approach causing debate moderator, Greg Carr, Chair of the Department of Afro-American Studies at Howard University, to remind the audience to remain civil and respectful to the opposition. The second resolution: Prohibition of cell phone recording of the police activity is unconstitutional, heated up the debate with Howard’s Kalah Ozimba leading the charge from the resolve standpoint. 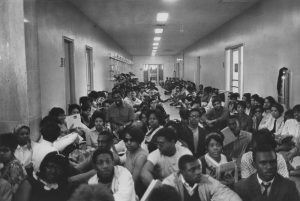 Ozimba justified the recording of police enforcement by not only pointing the American’s First Amendment but by also criticizing the “unreliable policing in America.” Ozimba’s point of supporting the social justice movement with our cell phones was well received by everyone in Cramton auditorium. 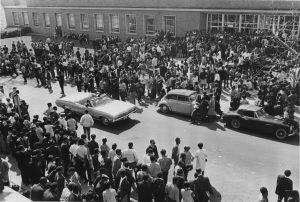 Hampton had educational standpoints, but were completely overwhelmed by Howard’s all-women debate team as they were able to use their assertive personalities and theatrical audience to shut out any argument accumulating six denials of opposition as a team; in comparison to Hampton who accepted all points of opposition. The HU-HU debate was nothing short of great intellectual entertainment, and no matter which side you deemed the “winner,” both sides showcased the emerging stars in the African-American community. At the end of the day, that’s a win for everybody.